Add some Amish tradition to your home, shed, garage, or barn. Our Barn Stars are one of the most popular home decor items for use inside and out. Although the history of the barn star is shrouded in mystery, the most popular beliefs are that they are a sign of “Good Fortune”, “Welcome” and “Peace”. Our barn stars are made of heavy gauge steel with a powder-coated back to resist the elements. 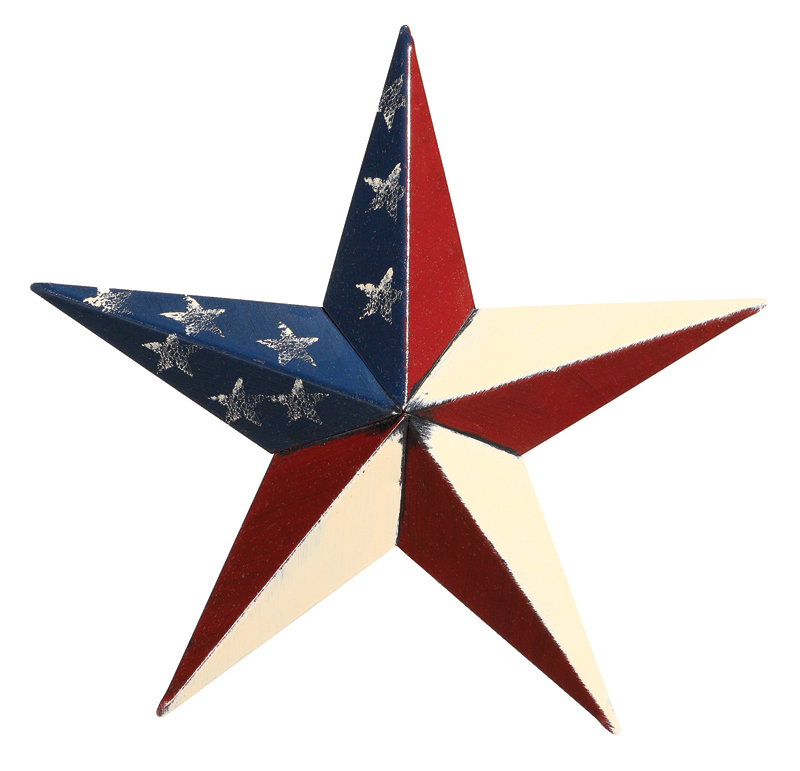 The barn stars are painted with high grade exterior latex paint that will hold up for years to come. Each star has a metal strip welded on the back for hanging.